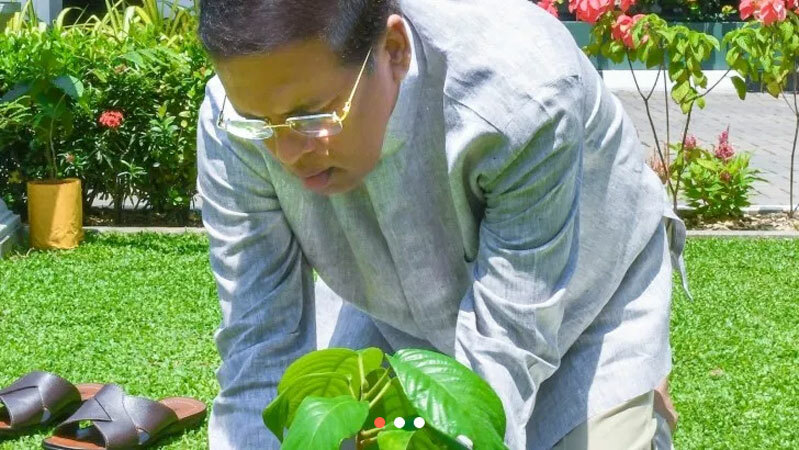 President Maithripala Sirisena joined the ritual of planting a fruit sapling yesterday morning at the auspicious time 11.17 am in the presidential official residence. The auspicious time to plant a sapling was 11.17 a. m. yesterday, facing the East, suitably wearing a white dress was added to this Sinhala and Tamil New Year rituals. President appealed to all Sri Lankans to plant a sapling or a seed at the auspicious time 11.17 a. m. today, thus fulfilling the individual responsibility for the sake of the future generation and sustenance of environment.